Home » Can I Leave My Pet Money in My Will? Can I Leave My Pet Money in My Will? 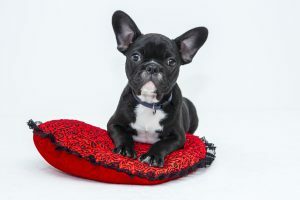 The Succession Act 2006 (NSW) (“the Act”) does not refer to a Testator (someone who makes a Will) leaving a legacy (a cash amount) directly to a pet. Therefore, there is a presumption that all Beneficiaries will be persons being either natural or a Company. Legacies should not be left directly to a pet, for example, “I leave $100,000 to my dog, Fido”. Instead, a pet can be left to a Beneficiary (a person who receives money or an asset under your Will). This situation is best advised in the case where the pet is known and loved already by this Beneficiary. A pet can also be left to a Beneficiary in the Will together with a legacy for its maintenance or alternatively as a condition to the receipt to that Beneficiary receiving a legacy. In the latter scenario, if the Beneficiary cannot or will not take the pet, the legacy will fail (ie they will not receive the cash amount). It is impossible to ensure however that Beneficiaries will continue to care for the pet if they accept the legacy. Alternatively, for those who have no willing carer among their family and friends or for those with very long lived pets such as cats, birds, fish etc, the pet can be left in the care of the RSPCA or the NSW Animal Welfare League Pet Legacy Program with a bequest to the organisation. This enables the pet to be cared for by the organisation until a new home is found for it. It is important however that you ensure and identify the organisation properly otherwise the provision may fail. Should I leave my entire estate to my pet? It is recommended that an entire estate not be left to a pet as it leaves the Will open to be challenged by family members or dependants who may make a claim under the Act that they have not been properly provided for in the Will. There is extensive case law in Australia which strongly favours family claimants as against charities. Therefore, it is important for a Testator who wants to leave a legacy, particularly a substantial legacy, to an animal charity to take into account the possibility of a Family Provision claim. To minimise such claims being made, it is advisable that you are discuss openly with the family any intention to leave a Legacy to an animal charity and to avoid leaving an entire estate to an animal charity unless there are no possible family or dependent claimants. If you have a pet, you should obtain appropriate legal advice as to how best to ensure that your pet is properly cared for after you have passed away.